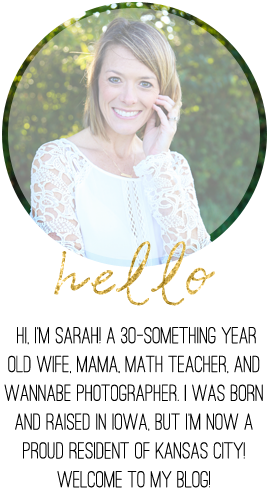 This week, my "Little Thing" is literally a little thing! As I was unpacking Brantley's newborn clothes over the weekend, I came across a mini pair of jeans. Even though he wore these just a year and a half ago, I could hardly believe how tiny they were! 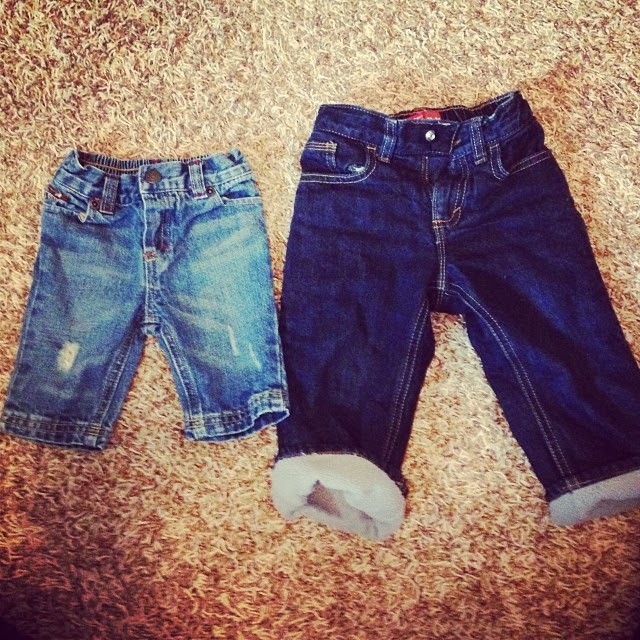 Of course, I had to compare them to pair of jeans he currently wears (18-24 months) and it's mind-blowing! A reminder of how quickly time flies - and a reminder to appreciate every day of every stage because these kiddos grow up way too fast! Look at those little jeans! So cute! Isn't this just so true! When Sydney was born preemie clothes were too big on her. So I look at preemie clothes and I just melt inside. I kept a couple of my favorite things for her and I think it is time to pull them out and just let my mommy heart explode all over again. Awwww, this is so sweet! I got a wild hair the other day and pulled out the outfit Sadie wore home from the hospital.....Waaaaaaah!!!! She was SO tiny! It's crazy how fast they grow! Thanks for sharing this and for linking up with us!